This delightful renovated Craftsman style home is full of character & historic charm yet meeting the modern expectations of today's homeowners. Perfectly located on a tree-lined brick street in the center of College Park & is just a few steps away from wonderful boutiques, award-winning dining, yoga in the park, many cultural venues and festivities. You will fall in love with the warmth of this home from the moment you arrive with its beautiful curb appeal, inviting porch and historic architectural details. Once entering the home you are greeted with the formal living/dining room & on the right are 3 secondary bedrooms & a fully renovated bathroom. The kitchen is complete with granite counter tops, ample cabinets, a prep island with bar top seating, breakfast bar, & an impressive oversized walk in pantry. Adjoining the kitchen is a spacious family room & pretty french doors leading outside. The 2nd floor was added on to provide complete privacy for the owners. At the top of the stairs you are greeted with an exceptionally large closet with custom built-in cabinets, to the left is a laundry room & your master bedroom complete with hardwood flooring, a tray ceiling with elegant cove lighting & a smaller closet for more storage. Your master en-suite is just as impressive with a soaking tub, oversized double shower, his/her vanities & a private water closet. The fenced backyard is simply delightful & allows for another secluded living space perfect for relaxing or entertaining your friends and family. Lot Size: 0.14 Acres / 6005 Sq. Ft. Directions:From I-4 --> Go West on Princeton St --> LEFT on University Dr --> RIGHT on Yale St --> House will be on your LEFT. SchoolsClick map icons below to view information for schools near 606 W Yale Street Orlando, FL 32804. MFRMLS data last updated at April 23, 2019 9:18:13 AM PST. Home for sale at 606 W Yale Street Orlando, FL 32804. 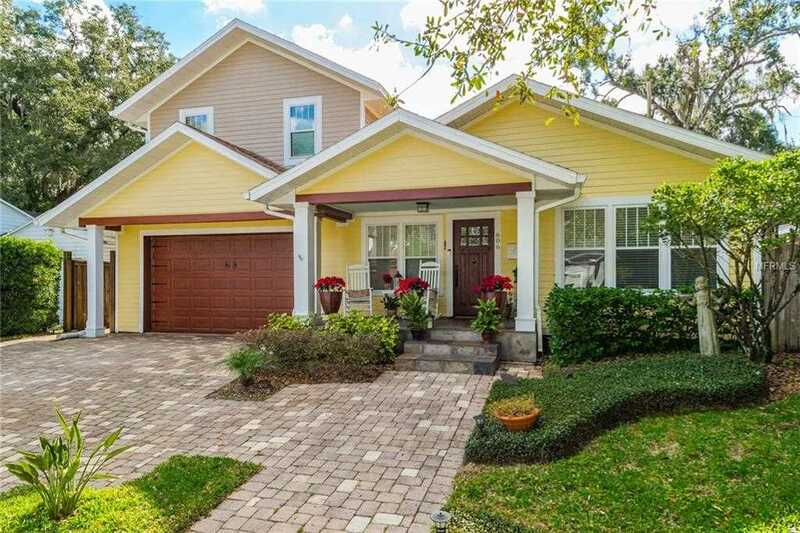 Description: The home at 606 W Yale Street Orlando, FL 32804 with the MLS Number O5755887 is currently listed at $623,000 and has been on the Orlando market for 103 days. You are viewing the MLS property details of the home for sale at 606 W Yale Street Orlando, FL 32804, which is located in the College Park subdivision, includes 4 bedrooms and 2 bathrooms, and has approximately 2652 sq.ft. of living area.